The city will begin replacing the 2,500 fire engines, garbage trucks, dump trucks and more in its fleet with new “high-vision” vehicles, said Lisette Camilo, commissioner of the Department of Citywide Administrative Services. The new rides will minimize blind spots with lower cab heights, more windows and smaller hoods. The cost of upgrading the trucks will vary depending on the city agency and function they serve, the city said. The swaps will be made on a rolling basis, and the city typically replaces about 10% of its vehicle fleet each year. City vehicles are involved in about six collisions per 100,000 miles traveled, according to DCAS. In fiscal 2018, which ended in June, city vehicles were involved in 6,304 collisions — down from 6,444 the previous fiscal year. 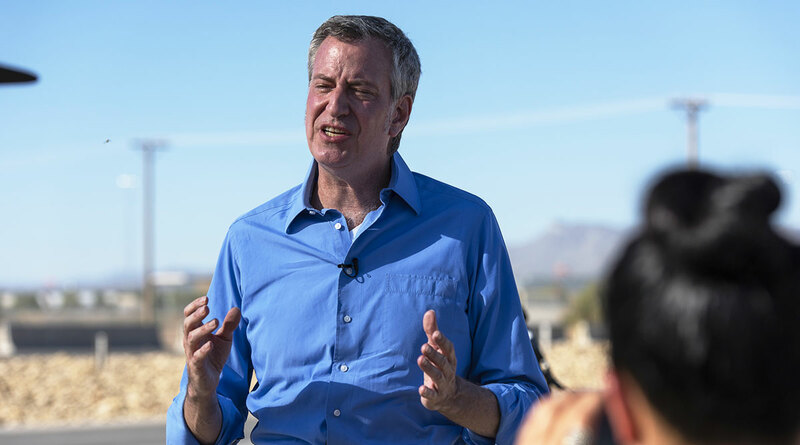 The city has made previous efforts to make its fleet of cars — which has grown under de Blasio — safer, including rolling out automatic braking, backup cameras, driver-alert systems, heated mirrors and truck side guards. They are part of a “Vision Zero Safe Fleet Transition Plan,” which intends to transition the fleet to safer vehicles and is a partnership with the U.S. Department of Transportation’s Volpe Center.